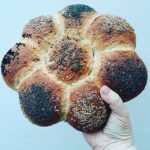 The prize (worth £500): a fun and relaxed full-day baking class for a corporate team of four, based on one of the inspirational classes at One Mile Bakery Exeter. The day will include a delicious two-course lunch with wine, all your bakes to take home or into the office, and some team-building Bake Off-style floury challenges! To enter: go to twitter and simply RT the competition details, follow @OMBExeter and reply to us using #ombexewin by 5pm on Friday 23 November. Prize to be redeemed by end of Feb 2019. Winners announced on Twitter 9am Monday 26 November. May the best corporate team in #Exeter win! Terms and conditions below. 1. 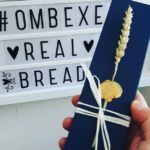 The prize is a corporate baking day at One Mile Bakery Exeter for up to four colleagues, to be taken on a weekday before the end of February 2019. 2. The prize includes a two-course lunch with wine or soft drinks, snacks and hot drinks, all ingredients, and baked items to take home. 3. The prize is not transferable and no cash alternative will be offered. 4. 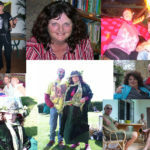 Participants must agree to appear in pictures from the day on social media. 5. Maximum one entry per individual or corporate Twitter account: multiple entries from any account will be deemed invalid. 6. Only entries which RT, follow @OMBExeter and reply to @OMBExeter using the hashtag #cwill be included in the draw. 7. The competition ends at 5pm on Friday 23 November; winners will be announced on Twitter at 9am Monday 26 November. 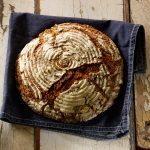 This class celebrates amazing breads from different baking cultures. 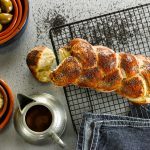 We bake bagels, challah (Jewish plaited Sabbath bread), pretzels, naan and flatbreads, and pita. 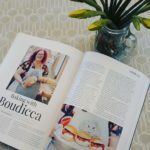 The very process of getting a feel for each loaf, with a watchful eye of Boudicca has helped me make so much sense of the natural progression of bread-making and now I have a strong reference point for how my dough should feel when I bake it at home - hopefully with similar success!